Trello is a great tool to use when collaborating ideas for blog material - find out how to make the most of it. Do you need a better way to manage your blog content? Looking for a tool to outline your blogging workflow from beginning to end? 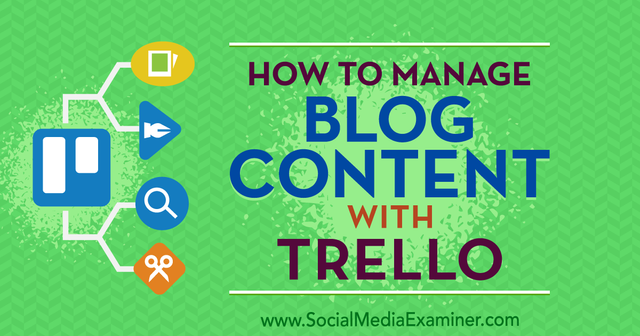 In this article, you’ll discover how to effectively organize how you brainstorm, write, and publish your blog’s content with Trello.